I'm privileged to be part of the 12 Days of Giveaways this Christmas season - a collective of 24 authors writing in a variety of genres, all from a strong faith foundation. Today, the 8th day, it's my turn to take to the podium for the Romance/Mystery group and offer a giveaway (woo hoooo!!). But first – some musings about Christmas. There's so much focus during the Christmas season on gift-giving. We may agonize over just the right gift to give, or quickly snap up something that we think the recipient might like. We buy wrapping paper by the yards, bows and ribbon, boxes and bags to prepare the gifts we finally decide on. The cost, between the gift itself, the wrapping, and perhaps the shipping, can be astronomical. While we're busily shopping, perhaps we should pause to consider the cost of Christmas itself. Not the cost of the trappings of the celebration but of the gift that started it all. The baby in the manger was wrapped in strips of cloth, not expensive foil paper. The night was filled with the songs of the angels, not the latest musical group. The meal would have been simple bread and wine carried miles in their belongings, not a special meal served on delicate china in a warm home with family gathered round. The financial cost of that first Christmas was minimal but its impact was priceless. The Christ child didn't come to give us material wealth, prestige or worldly acclaim. He came to give us something far more precious - His life. He was born for us so He could die for us. No gift on earth has had that price tag affixed to it. We certainly could never afford it. But while it cost Him everything, He offers it to us for free. We cannot pay for it, earn it, or repay it. We do not deserve it. But it is the gift He picked out specifically for us, wrapped in glory, offered with love. It's the original gift that keeps on giving. We can unwrap it day after day after day, and it will never run out, never expire, never be taken away. So while you're shopping for that one perfect gift, remember that it's already yours for the keeping and the sharing. In this case, one size truly fits all. Shattered Image: Kiera Simmons’ career as a high-profile fashion model ends abruptly when a failed relationship nearly lands her in jail. Now she forges a quiet life helping teens understand their eternal value in a world saturated with the distorted messages of society. Peter Theisen is on the fast track to everything the celebrity life promises, with each step of his meteoric rise in the music world orchestrated by his ambitious manager. Dance of Grace: In one tragic moment, dancer Vanessa Jordan lost her family, her career, and her future. She blames God for destroying everything that mattered. The former dancer and the ex-con form an unlikely alliance to build River House, a safe haven for kids on the street. But when Kurt’s past threatens his dreams and his life, Vanessa becomes a target as well. It will take a stubborn love, the grace of God, and one courageous teen to keep the River House dream alive. ​Follow the link below for details. Check out the details for my giveaway HERE! Check out the upcoming giveaways by clicking on this calendar! 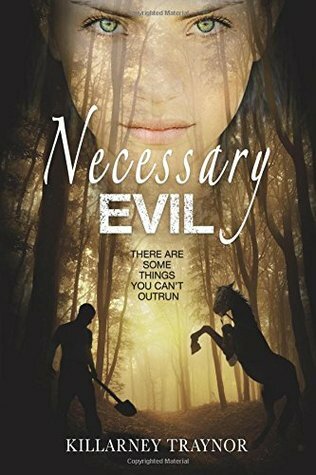 And there is still time to enter to win a free autographed copy of Necessary Evil: ​enter today!